There is a really fine line between advertising and spam and unfortunately many business owners and new marketeers do not understand the difference between the two. This is really important because while a clever, well designed and executed internet marketing campaign can help to attract new business and keep existing customers loyal, spam is highly likely to alienate both new customers and existing customers alike, resulting in damage to your profit margin. During this post will take a good look at just three basic online marketing strategies such as email campaign, banner ads and message board posts and describe how each can quickly cross this fine line from great advertising to spam. These can also be very useful tools to internet marketers, but again, they must be done correctly. These campaigns may involve sending periodic e-newsletters filled with information as well as advertisements, short, informative email courses or emails offering discounts on products and services. Loyal customers who opt into your email list (and you MUST get opt-in addresses to ensure the success of your campaigns) will likely not view these emails as spam as they may know your business or have dealt with you in the past, and therefore may purchase additional products and services from your business as a result of this marketing strategy or at the very least you will remain 'front of mind' when they decide they need to purchase solutions that you offer. Additionally, potential customers who have specifically requested additional information on your products and services will also find this type of marketing to be useful. However, email recipients who did not request information are likely to view your emails as spam and unlikely to result in a sale or goodwill, further more if the recipients of spam email decide to take action against you then you could find a fine coming your way. Harvesting email addresses in a deceptive manner and using these addresses to send out mass emails will likely always be considered to be spam. It's also worth noting that sending an email to someone you did business with too long ago may be inappropriate too; so remove anyone on your list who you haven't have any dealings or contact within the past 2 years. These were once one of the most popular strategies accompany an internet marketing plan, and they still have their place in modern online marketing tactics. These ads are usually the ones that appear at the top of websites and they tend to take up the full width of the site; its is from this appearance that they earned the name banner ads but actually banner ads can refer to a variety of different sizes and shapes which appear in an array of different locations on a website. In many cases the business owner purchases advertising space on these websites but the banner ad could also be placed as part of an exchange or an affiliate marketing campaign. Exchanges are situations in which one business owner or marketeer is granted permission to place a banner ad on someones website, in exchange for this other business owner is allowed to post a banner ad on his site. These are great agreements and are usually made made between individual business owners with complementary businesses or as part of exchanges facilitated by a third party. In the case of affiliate marketing, an affiliate posts and advertisement for your business in exchange for compensation when the banner ad produces a desired effect such as generating website traffic or generating a sale. 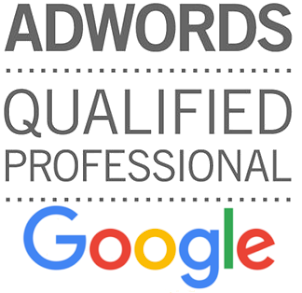 The terms of these agreements are determined beforehand and are generally based on a scale of pay per impression, pay per click or pay per sale or lead. Now that you understand what banner ads are, it is also important to understand how they can be easily overused and appear to be 'spammy'. Expertly placing your banner ad on a few websites which are highly likely to attract an audience similar to your target audience is very smart marketing, placing your banner ad on any website which will display the ad regardless of the target audience can be construed as spam. Internet browsers who feel as though your banner ads are everywhere could take an instance disliking to your business and may become extremely unlikely to purchase products or services from you as a result of your banner ads. Finally, message boards provide an excellent opportunity for business owners to obtain some free advertising where it will be noticed by members of the target audience. If the products and services you offer appeal to a specific niche, it is worthwhile to join message boards and online forums related to your industry of choice. Here you will find a large population of internet users who may have an interest in your products. You might consider including a link to your business in your signature or posting the link when it is applicable to the conversation. However, care should be taken to carefully review the message board guidelines to ensure you are not doing anything inappropriate. This is smart marketing. Conversely, replying to every message with a link to your website when it is not relevant to the conversation is likely to be construed as spam by other members. Once they begin to view your posts as spam, they are not likely to visit your website via the links you post. Some forums attach various rules to their posting guidelines (i.e. you can only post a link after a certain amount of time or after you post a certain number of helpful posts for example).